When I was a first-year history teacher in a Chicago high school, I quickly stopped going into the teachers’ lounge, which I dubbed the “Ain’t It Awful” Club. … It was a constant stream of negative judgments, criticisms, blaming, and complaining. I didn’t want to be around that kind of negativity. I knew it would make it so much harder for me to be the positive, life-changing teacher I wanted to be. I started hanging out with them and implemented every new idea they shared with me – as well as a few more that I picked up from my weekend classes at the University of Chicago. As a result, the students voted me Teacher of the Year in only my first year of teaching. That never would have happened if I had allowed myself to get sucked into the “Ain’t It Awful” Club! All of us have to deal with at least a few toxic people in our lifetime. They’re the ones who are always complaining and blaming others for their circumstances. They judge others, spread negative gossip, and always talk about how bad it is. They tell you your dreams are impossible and try to dissuade you from believing in and pursuing your goals. They’re constantly trying to bring you back down to their level. A simple phone conversation or email exchange with them will bring tension, stress, and disorder to the rest of your day. Maybe these toxic people are your coworkers, or your old group of friends from high school. Or maybe they’re your family members. No matter who they are, they have the power to drain you of the energy, faith, motivation, and self-confidence you need to achieve your goals and create the life of your dreams. Here are my three most valuable tips on how to liberate yourself from their negative influence. Make a list of everyone you spend time with on a regular basis— your family members, coworkers, neighbors, friends, people in your civic organization, fellow members of your religious group, and so on. When you’ve completed your list, go back and put a minus sign (–) next to those people who are always negative, critical, and complaining, and a plus sign (+) next to those who are positive and nurturing. As you make a decision about each person, you might find that a pattern will begin to form. Maybe your entire workplace is filled with toxic personalities. Perhaps it’s your friends who nay-say everything you do. Or maybe it’s your family members who constantly put you down and undermine your self-esteem and self-confidence. 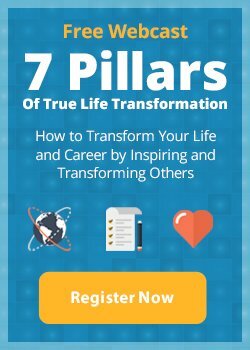 Once you identify them, you’ll begin to see how they’ve been influencing your outlook on your life and career – and holding you back from creating the life of your dreams. You’re better off spending time alone than spending time with people who will hold you back with their victim mentality and their mediocre standards. I know, it might be easier said than done… especially if those toxic people are your co-workers or family members. Maybe you don’t feel like you can remove them from your life right now. At the very least, I encourage you to severely decrease the amount of time you spend with them. And remember, nothing is impossible – it’s always a choice. If you work in a toxic environment, apply for a different job. Tough market? Upgrade your skills to be a more attractive job candidate. If your family’s negativity is slowly poisoning you, have an honest talk with them and tell them how their negative words and actions affect you. If they don’t listen to you or honor how you feel, stop spending time with them. It really can be that simple. You have the power – and the right – to remove people from your life if they constantly attack your sense of self worth and are preventing you from becoming the best possible person you can be. Here is the easiest way to insulate yourself from toxic people: fill your life with positive people instead. Make a conscious effort to surround yourself with positive, nourishing, and uplifting people who believe in you, encourage you to go after your dreams, and applaud your victories. Seek out successful people who have already accomplished amazing things in their life. This is one of the most powerful ways to bring more success and happiness into your life – by hanging out with people who inspire you and can give you the support and advice you need to achieve your own success. Where do you find successful people? Join a professional association. Attend your professional conferences. Join the Chamber of Commerce or your local country club. If you’re a young person, join the Young Presidents’ Organization or the Young Entrepreneurs’ Organization. Volunteer for leadership positions. Join civic groups like Kiwanis, Optimists International, and Rotary International. Volunteer to serve with other leaders in your church, temple, or mosque. Attend lectures, symposia, courses, seminars, clinics, camps, and retreats taught by those who have already achieved what you want to achieve. Your life will be so rich you won’t have any time to spend with toxic people! And who knows? Maybe your success will inspire those negative people in your life to aim higher in their own lives as well. One surefire way to meet more positive, inspiring, and motivated people is to attend a personal development event such as Breakthrough to Success – a five-day event I hold at a luxury oasis in the Arizona desert every August. So many participants say they found their “tribe” at Breakthrough to Success – life-long friends who encourage, support, and motivate each other as they continue on the path to creating their ideal life. And if you’ve had to deal with toxic people in your life, please share your story in the comments!